Depending on where you live in the NJ Route 22 stretch, trip combining is something many people should consider when going out. For those living in the more rural sections of the area, such as in the central and western zones, your planned destination(s) are often 20-30 minutes away, sometimes further. And even more challenging, not in the same place, which adds more travel miles and time. So it makes sense to knock a few items off your to-do list each time you go out. For cost efficiency. Those living in the eastern sections are a bit more fortunate, as there are a bevy of retail options densely concentrated more nearby, with chances that if you have several destinations – they’re fairly close by. If you have various areas you like to frequent like we do, we put on a different thinking cap for each one. Each has their pros and cons. For us, there are many locales we enjoy frequenting. Such as Phillipsburg, Hackettstown, Flemington, and Clinton in the west. Or Chester, Bridgewater, and Branchburg in the central. And Stirling, Springfield, Watchung, and Mountainside in the east. Most of our trips are for practical reasons. Either food, supplies, alcohol, or tools & home improvement gear. We can accomplish most goals in any area. However, sometimes the need for a specific location (say Home Depot or Lowe’s) will narrow down our destination options. But not everyone has time to go exploring vast reaches of the state – and don’t always have a huge laundry-list of needs or wants. Hence, why the most convenient, closest place (i.e., supermarket) is often the first choice for most shoppers. Trip combining for practical – or fun purposes! Like we mentioned above, making several stops during each trip is just common sense if you’re looking to save time and be productive. Like if you’re hitting the gym anyway, what can you do on your way back home? However, accomplishing your goals doesn’t have to be the same mundane endeavor week after week. Which is why we enjoy visiting different areas on purpose. It’s fun, you get to learn a little bit more about each locale each time you go. And over time, with enough time under your belt in each area, you begin to get a more holistic idea of what’s good and bad. Eventually, you’ll know what particular area is good for this or that. But not everyone has that desire to mix it up as much. They become set in their ways. Which isn’t all bad, either – as instead of being a “jack of all trades, master of none,” they become profound experts in a smaller area. To each their own, right? So what category do you fall in? We often wonder how many people actually have the mindset to just “go out and see what we can find.” Like when I’m at a supermarket far from our home, am I amongst all regular shoppers? Or are there any other curious outsiders checking the place out the way we are? Are you the type that is too busy to explore a new area, and you just hate shopping? Are you an adventurer, always looking for new and different places and towns to visit? Or do you prefer staying home and ordering your things online? Maybe it’s even a complicated family you have, and schlepping kids, strollers and other gear is just too exhausting to make a sight-seeing trip out of it? Or does your family enjoy the exploration as well? 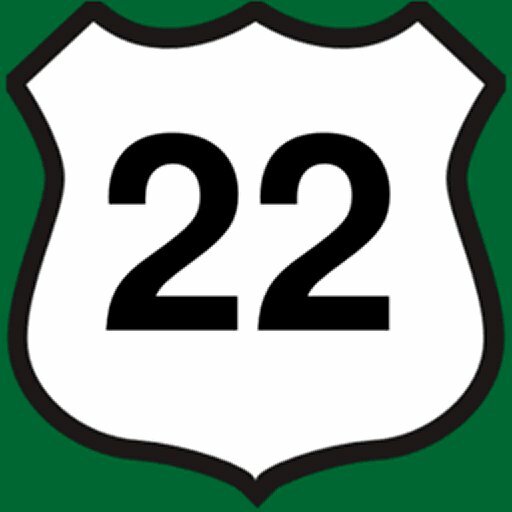 Regardless – you’ll see many locations here on NJroute22.com – from Allentown, PA all the way to Hillside, NJ. So maybe you can live vicariously through us if you want! We won’t judge! Organic Peanuts – why are they so hard to find?